Former Chartered Institution of Wastes Management (CIWM) chief executive Steve Lee has been recruited to help develop the annual RWM with CIWM industry event in Birmingham. The event’s organisers from Ascential, the parent company of MRW, made the approach when he stepped down from the CIWM at the end of October. Lee said RWM had a loyal customer and visitor base but that no show could stand still. “The world of wastes and resources continues to develop, with huge challenges and opportunities opening up through policy at EU, UK and national levels – and increasingly being picked up by businesses across all sectors,” he said. “The importance of our sector in public health and local environmental quality protection remains as strong as ever, but now we see that we will be a vital future industrial feedstock. 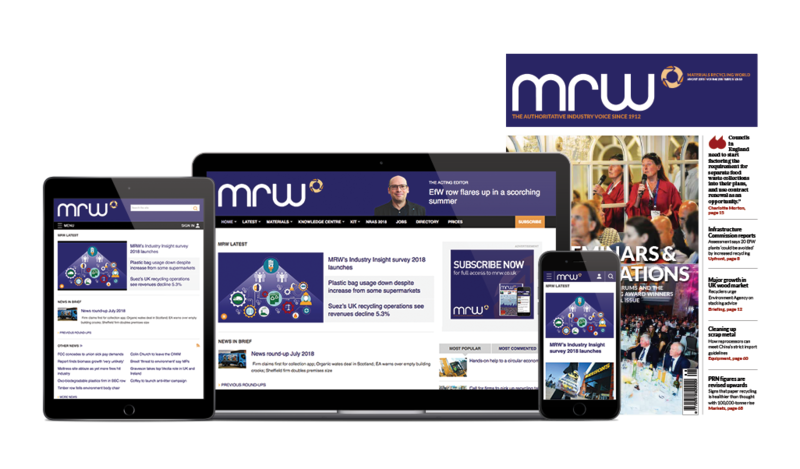 Lee added that RWM had a unique opportunity to lead, facilitate and reflect such changes by providing “a world-beating platform” for the sector and its links into all other businesses.